The wind chill may be cold enough to close schools, but hey, we’re Minnesotans, so we’ll go out to hear music and dance, even when it’s cold. 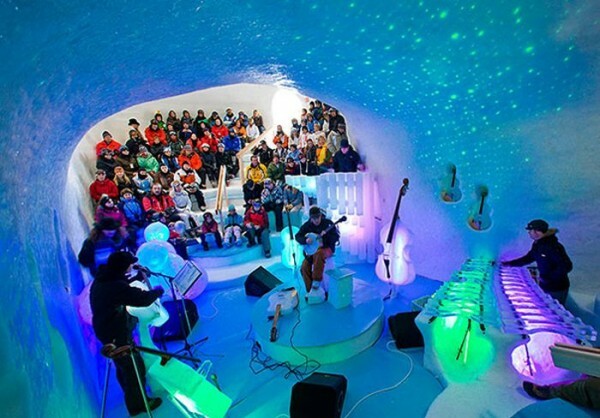 Of course some of us are lucky enough to go somewhere warm for at least a few days each winter, but wherever it is, I’ll bet they don’t have as good a music scene as we do here in the Twin Cities. If I may, I’d like to draw your attention to a special event occurring Tuesday evening, January 13th. 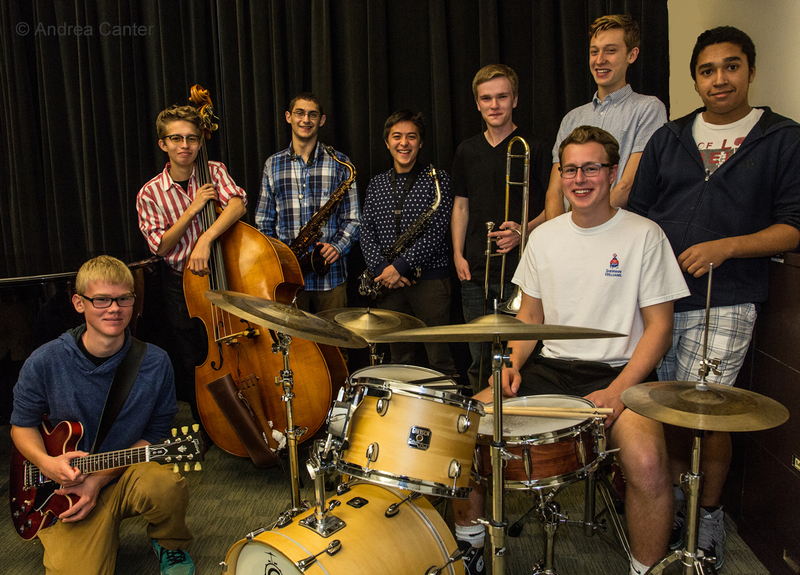 It’s a benefit, with no cover charge, for the Dakota Foundation for Jazz Education, an organization that brings working musicians into schools to encourage and support jazz as part of a young persons education. More information is found below. Now, put on your layers of clothing, just like the folks in the above picture, and enjoy the talent found in our cities. Music is good for the spirit. Chomsky and Thomas Nordlund @ Jazz Central, Minneapolis. 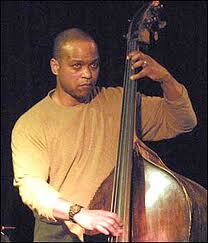 8:30pm ($10 Suggested Donation) It’s a double-bill, double bass night at Jazz Central. Bassist Andrew Foreman will start out the evening with his new group Chomsky, which includes Jake Baldwin, trumpet; Thomas Nordlund, guitar; and Zach Schmidt on drums. Then, with a bit of reconfiguration, Thomas Nordland and group will play new music from his forthcoming EP of baritone guitar music: Nordlund, baritone guitar; Andrew Foreman, bass; Lars-Erik Larson, drums; and Kevin Gastonguay, keyboards. Ramsey Lewis Electic Band w/Philip Bailey @ The Dakota, Minneapolis. 7pm ($45 – $70), 9pm ($35 – $60) Back in 1974 Ramsey Lewis was a bit tired of his acoustic approach to jazz and wanted to liven things up a bit. He reunited with Maurice White, who had been in his band and was now leading Earth, Wind, and Fire, and created an up to date sound featuring members of that group. the resulting album and its singles shot up the charts, hitting number 1 on both the Black charts and Jazz charts of the time. Philip Bailey also of EWF, contributed vocals, and he’s back with Lewis for this tour, which I suspect will feature soaring vocals, and some funky funky jazz. Radio Joe Demko @ Jazz Central, Minneapolis. 7:30pm ($10 Suggested Donation) Radio Joe brings his swing-centric band, together with their tangos, ballads, and other groovy music, to the basement club. Le Percheron @ Khyber Pass Cafe, Saint Paul. 9pm ($5) Bassist Adam Linz has put together this band, which has only played a handful of gigs to date, but what a band! Brandon Wozniak on sax; Cory Healey on drums; and the young, but very talented Levi Schwartzberg on vibes. The first set will consist of duets, and the second set will feature the full band. Wine, beer, and small plates are available. 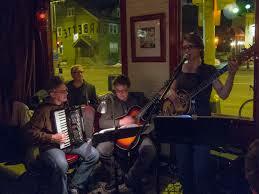 Joel Shapira/Dean Granros CD Release @ The Black Dog Coffee & Wine Bar, Saint Paul. 8pm ($5 – $20 Suggested Donation) Last June guitarists Shapira and Granros performed at the Black Dog as part of the Twin Cities Jazz Festival, and recorded the results, now being released as Jazz Guitar Duets. It’s a delightful compendium of songs plucked on steel and nylon strings, with tunes ranging form Ornette Coleman compositions to standards. JT Bates Organ Trio @ Jazz Central, Minneapolis. 7:30pm ($10 Suggested Donation) I’ll admit I’m a sucker for B3 groups. If the soulful, greasy sound of guitar, organ and drums gets your fingers snapping, your toes tapping, and your head bobbing, head over to Jazz Central to catch JT Bates, drums; Kevin Gastonguay, organ, and Zacc Harris on guitar. Jerod Kaszynski Group @ Jazz Central, Minneapolis. 10pm ($10 Suggested Donation) It’s a double header at JC tonight with saxophonist Kaszynski, a native of the Twin Cities currently living and teaching in Eau Claire taking the second spotlight. Tonight’s show has a literary bent. Author Miri Francis haas written (and will read) a love story, with accompaniment by Kaszynski and his band, including: Josh Huot-Gallus, trombone; Josh Gallagherm, piano; Sam Olson, bass, and Adam Nussbaum, drums. 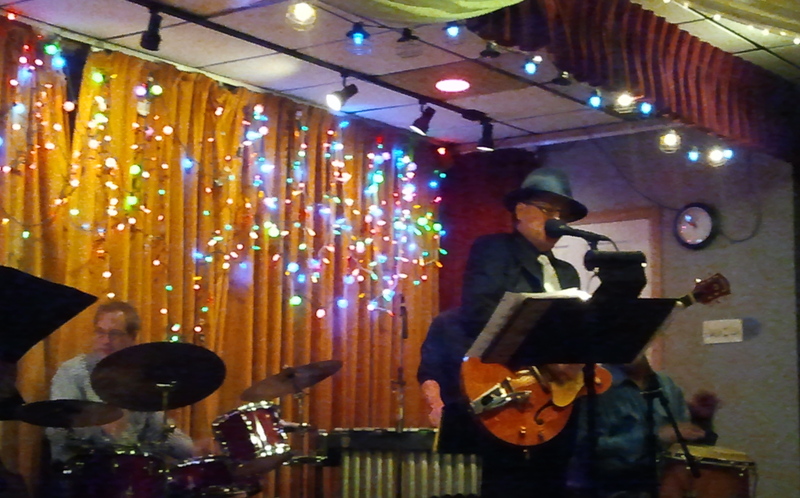 Bill Carrothers Trio @ Jazz at Studio Z, Saint Paul. 7pm ($10) I know of many Twin Cities jazz fans who are salivating over this date. In a rare appearance with his own trio, pianist Carrothers returns to his home town of Saint Paul. 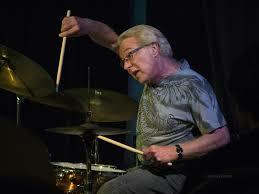 He’s recorded 17 albums as a leader, and has worked with artists ranging from Buddy DeFranco and Curtis Fuller to Lee Konitz, Dewey Redman, and Gary Peacock. He’s bringing a couple of Irish musicians with him: drummer Kevin Brady, and bassist David Redmond. There will be a short master class at 6pm, included in the admission price. Mancrush @ The Black Dog Coffee & Wine Bar, Saint Paul. 8:30pm ($5 – $20 Suggested Donation) Mancrush is Lars-Erik Larson, drums; Zacc Harris, guitar; Brandon Wozniak, sax; and Bryan Nichols, piano. 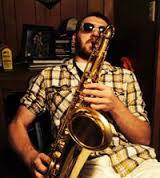 Opening set by Tommy Bentz Quartet at 7pm. Connie Evingson w/The Parisota Hot Club @ Jazz at St. Barney’s, Plymouth. 7pm ($10) Vocalist Evingson recently received a positive review in Downbeat for her album “All the Cats Join In.” Tonight, she’s performing songs from the album, with the Parisota Hot Club and special guest, the ever-youthful octogenarian saxophonist Dave Karr. Here’s a selection from the album. Adam Meckler @ Jazz Central, Minneapolis. 8:30pm ($10 Suggested Donation) Trumpeter Meckler leads his own 17 piece band, is a key member of the Jana Nyberg Group, leads a quintet, and is a member of a few other groups as well. Tonight he gets to step out on his own, playing originals and original arrangements of other songs. Ryan Franesconi and JT Bates & Michael Lewis @ the Icehouse, Minnepolis. 9;30pm )$10) Guitarist Franesconi, 1st set. Bates (drums) & Lewis (sax), 2nd set. Franesconi is a Portland based guitarist and composer whose way with stringed instruments from Eastern Europe qualifies him as a multi-instrumentalist obsessed with Balkan Folk Music. Bates and Lewis are 2/3 of Fat Kid Wednesdays, with enough imagination between the two of them to grab your attention and hold it tight. Dakota Combo & Kevin Washington Group @ The Dakota, Minneapolis. 7pm (No Cover) Though there is no cover, this is a fundraising benefit for the Dakota Foundation for Jazz Education, which brings working jazz musicians into area schools to work with student musicians, provides free-metro wide workshops for young musicians, and gives out scholarships to summer jazz camps and members of the Dakota Combo. This year’s edition of the Dakota Combo will perform, as well as a group comprising Kevin Washington drums; Jeff Bailey, bass; Mary Louise Knutson, piano; and Solomon Parham, trumpet. Reina Del Cid on KFAI and @ The 331 Club, Minneapolis. 5pm (90.3 & 106.7FM) 7pm (331 club – Tip Jar) Reina Del Cid is coming into her own as a folk-rock singer/songwriter with a great back up band. She recently performed well-recieved sets at CMJ – New York, Summerfest in Milwaukee and The Underground Music Showcase in Denver. Part of the band’s appeal is flat-picking guitarist Toni Lindgren, who always surprises with her choice of licks. Lisa Wenger & Her Mean, Mean Men @ Shaws, NE Minneapolis. 9pm (Tip Jar) Wenger’s direct approach to singing the blues appeals to hard-core blues fans as well as more casual fans, say those who may be just going out with their spouse or date. She’s got an excellent band as well. Malamanya @ The Cedar Cultural Center, Minneapolis. 8pm ($12) It’s Latin night at the Cedar, as Malamanya brings their hip-swaying, toe-tapping, salsa dancing melodies and traditional Cuban rhythms to the concert/dance hall. Opening act Alma Andina goes further South for their inspiration, performing music of the Andes and Latin America. Ronnie Baker Brooks @ The Minnesota Music Cafe, Saint Paul. 9pm ($20) The son of the late Lonnie Brooks, guitarist Ronnie is proof that the apple doesn’t fall far from the tree, yet he is moving beyond what his father did by occasionally incorporating funk rhythms and a bit of hip hop into his musical mix. As he put it, “It’s a hip hop world right now, but I want to bring a little blues to the party.” His latest CD, The Torch, was produced by Minneapolis producer/guitarist Jellybean Johnson. 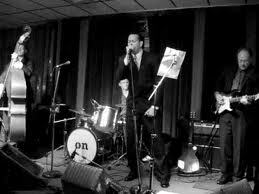 The Groove Merchants w/Jimi “Prime time” Smith @ Holihan’s Pub, White Bear Lake. 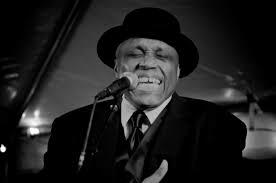 8pm (No Cover) The Groove Merchants are aptly named, as the late Big Walter Smith built them into a funky blues group that easily inspires dancers. Since his death, they’ve recruited talented guitarist Jimi Prime Time Smith as a front man, a good decision on their part. Road to Memphis Fundraiser @ Wilebski’s Blues Saloon, Saint Paul. 2pm – 6pm ($10?) Okay, this is the last fundraiser to help this year’s Minnesota representatives to the International Blues Challenge pay their way to Memphis. Today’s performers include Jimmi & the Band of Souls, and Brother Sun, Sister Moon, both of which are this year’s representatives, as well as the Annie Mack Band, Tampa Spatz, The Black Water Band, and the IBC All-Stars, made of of past participants. Mikkel Beckmen & Charlie Parr @ The Dubliner Pub, Saint Paul. 5:30 pm. Mikkel is celebrating a birthday, and he’s got Charlie Parr to help him out. An irish Bar. 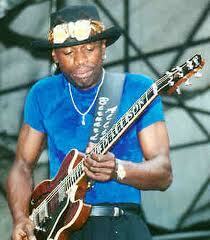 Minnesota’s nationally recognized bluesman. Mikkel’s always fun percussion. Sounds like a heck of a party. Dobet Gnahoré @ The Ordway, Saint Paul. 7:30pm ($20 – $45) Gnahoré is one of Africa’s premier contemporary vocalists and talents. She stunned at her appearance at the Dakota in November of 2011, for which I wrote a brief review which you can find here. Prior to the show, at 6:30, there will be a discussion on Afro-pop with Janis Lane-Ewart, drummer Sowah Mensah, and Doug Cain, of KFAI’s Global Beat. Marshall Crenshaw Solo @ The Dakota, Minneapolis. 7pm ($25) Back in the 80s, Crenshaw was all over the place, performing in the off Broadway production of Beatlemania, playing Buddy Holly in the Richie Valens biopic, and hitting the charts with songs long Something’s Gonna Happen, and Someday, Someway, which became a hit for Robert Gordon. With 13 albums and hundreds of songs recorded over three decades, Crenshaw has proven to be a master of melody and songwriting. His songs have been recorded by folks like Bette Midler, Rlonnie Sp;ector, Kelly Willis, and the Gin Blossoms. Tonight it’s just Crenshaw and his guitar. Opening is Kevin Bowe, the Twin Cities own prolific songwriter.